In stock the i5-2.7GHz and the i5-2.9GHz…. Apple announced the new range of Apple iMac around 2 months ago, however, the frustrating thing for everyone was that they were not shipping for quite a while but they are here now. When Apple announced the brand new range of the iMac a few months ago now, everyone was excited at the prospect of a new, stylish, and faster Apple Mac. The downfall was, due to manufacturing issues, the iMac was not available to ship ‘apparently’ until November and December. The good news is, HardSoft have started to ship the 21.5” Apple iMac in the last week or so… leaving customers very happy ! The brand new Apple iMac is available to lease through HardSoft over 3 years at £9.80 + VAT per week. 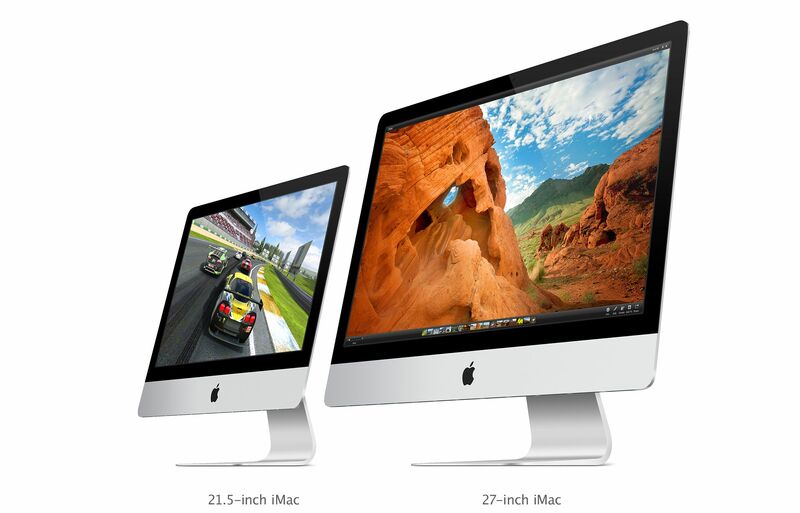 So, what is good about the new 21.5” iMac…? Well, firstly, the new 21.5” iMac is now 80 percent thinner than the previous model and volume has been reduced by some 40 percent ! The lack of an optical drive is an important thing to mention and the new iMac is now just 5mm thick at its edges !